East Greenland﻿'s coastline stretches for 2,500 km from north to south. There are approximately 3,500 people living on this entire Eastern coastline with the majority in the Ammassalik region. 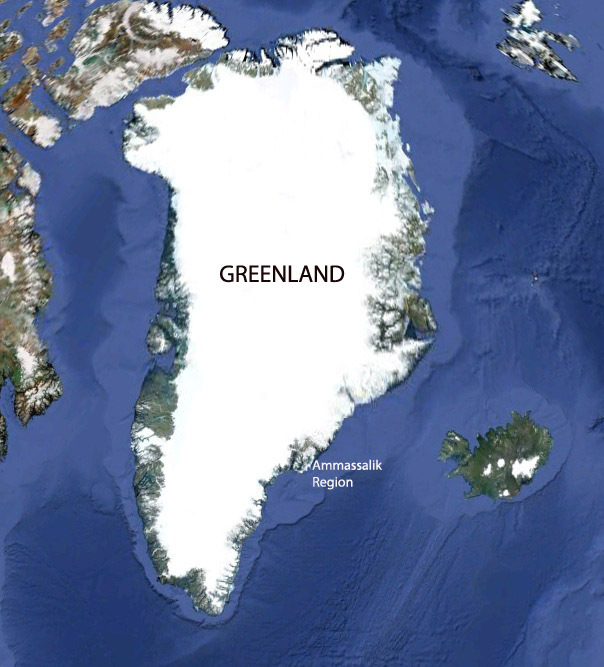 Most of Greenland's 57,000 people live on the West Coast of Greenland. The culture of the East Greenland Inuit is far closer to the original form of subsistence living than in West Greenland.